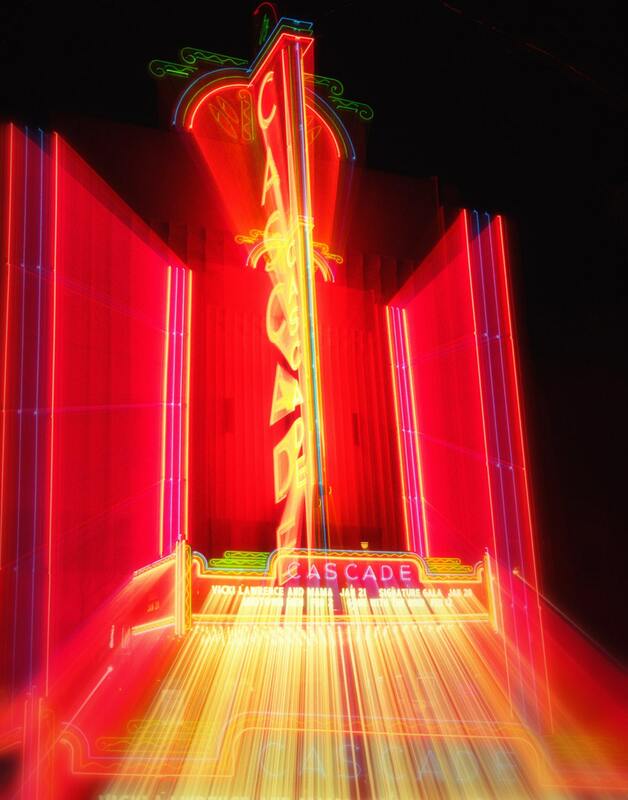 Cascade Theatre in Redding California on a rainy night. This historic theater is located on Market Street in downtown. This photo was taken with zoom burst technique.